Du-na, Du-na, Du-na... que the dramatic Jaws music for this amazing Shark/Scuba Birthday Party by Abigail of Paper & Cake. 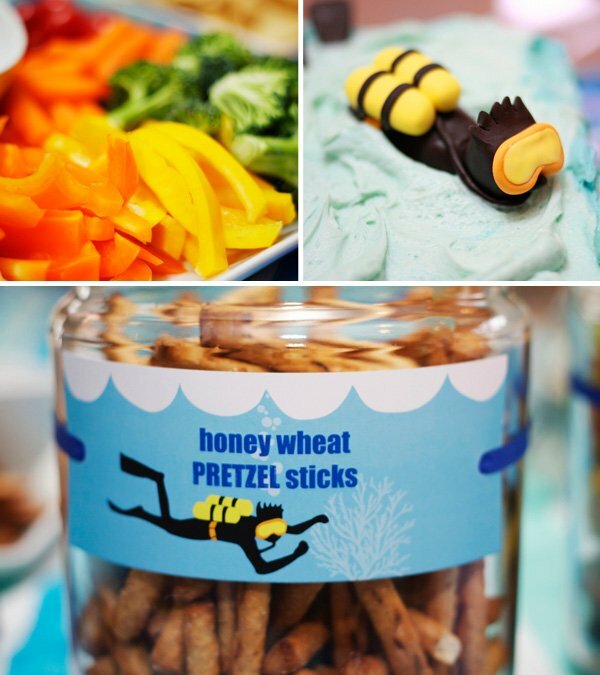 Abigail took inspiration from her son’s new obsession – sharks – and created this ultra-creative & colorful birthday party! 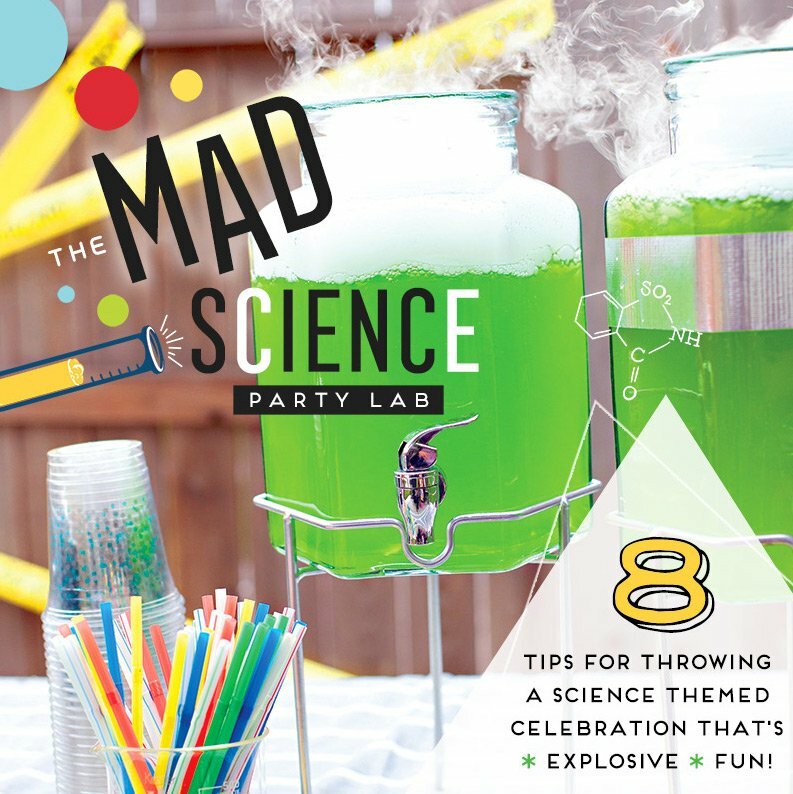 A few of my favorite details include the homemade scuba tanks, the huge cardboard shark cutout in the front lawn, and the adorable felt shark fins that all the party-goers wore. I also LOVE the addition of the Scuba symbol… genius! 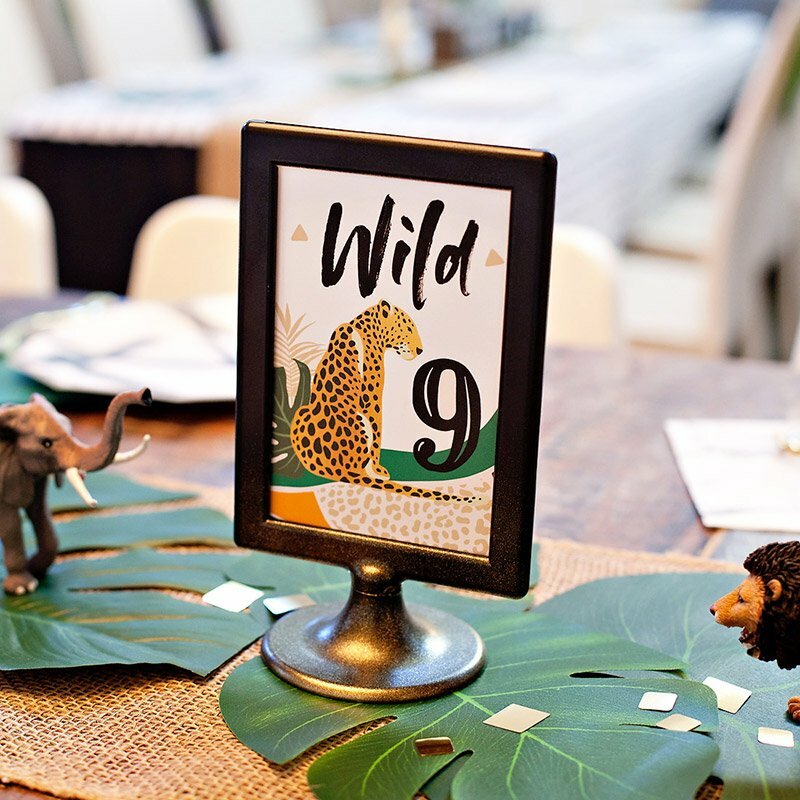 The sand-and-sea-shell centerpiece and beach towel table runner were the perfect details to complete this party. 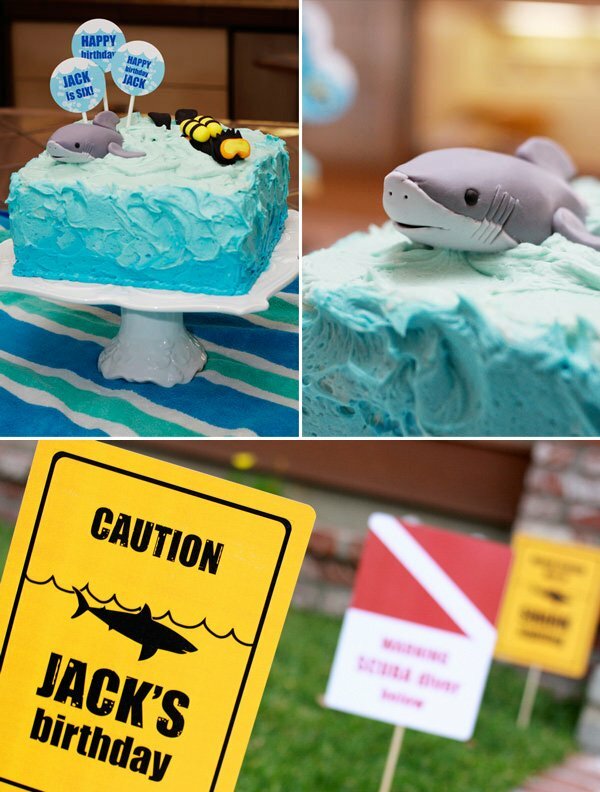 “For my son Jack’s 6th birthday party, he and I decided on a shark theme – mostly because he is completely obsessed with sharks and all things underwater. 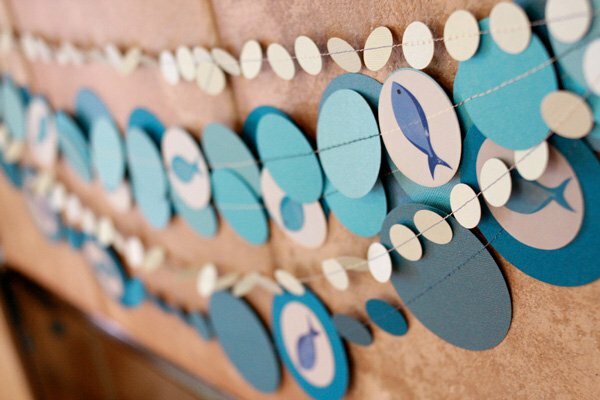 We decorated with a printable set, in addition to a couple of easy craft projects to turn the house and yard into shark infested waters. Lucky for me, Jack is still a big fan of dress up, so we provided home made scuba tanks and shark fins along with dive masks, for all the kids – some even wore all 3 at the same time! Sharks and SCUBA divers roamed in and out, up the backyard climber and down, even to the SCUBA smoothie station inside. My patient husband made custom smoothies, topped with whip cream, for all who wanted them. I love this party! So creative- love the scuba tanks! 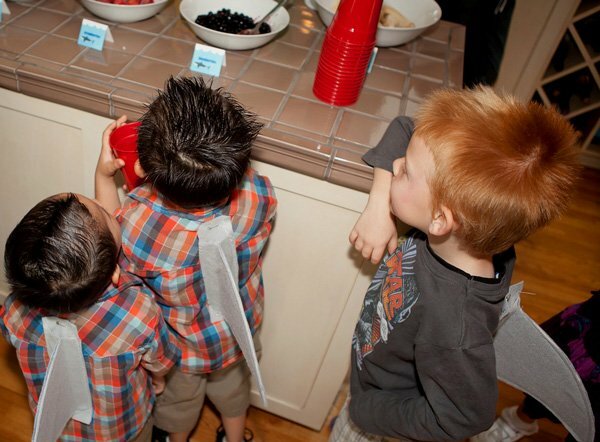 Finally something for the boys that is the equivalent to the “fairy wings”! Love that shark fun :) too cute! The scuba tanks are positively genius. Such a creative theme. The shark fins and scrub gear are too stinkin’ cute! This party is swimming with so much creativity! LOVE all of the details!! What a great party theme! I’ll have to keep it in mind for my sons birthday next summer. I LOVE THIS! Such creativity is awesome!!!!!! 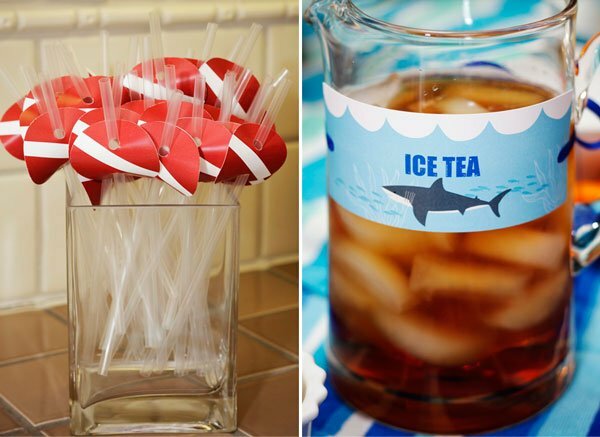 haha love the shark fins! Love all the dress up gear! Every touch is clever and doable! Made me wish that one of my kids was young enough for this theme! That blue frosting on the cake looks AMAZING! Yum! This looks like a party filled with FUN. The cake is just great. 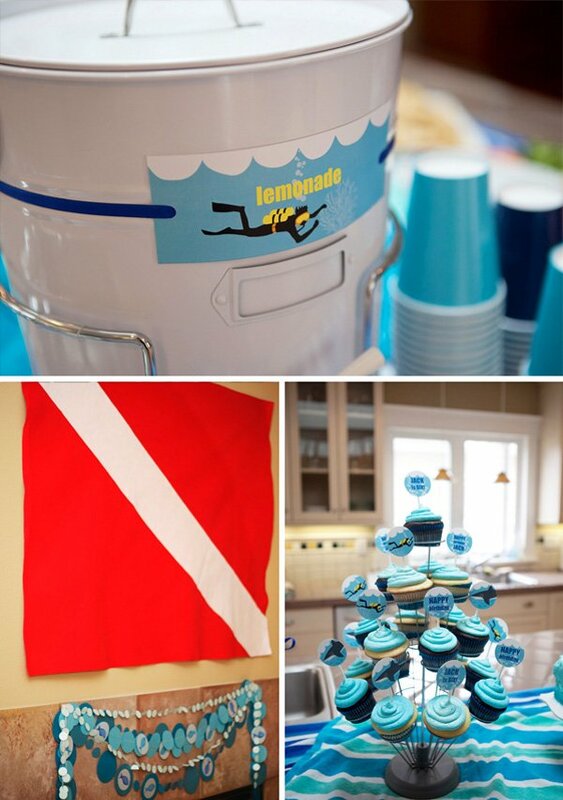 I am a huge fan of scuba diving and this is such a great party theme! The scuba tanks are so clever. Oh my goodness – this is so incredible! I’m trying to plan my twin boys’ 8th birthday party for this summer right now. 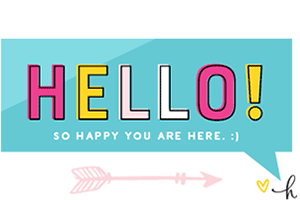 Off to the Etsy site…thanks! This is one of my favorite parties from Abigail! I LoVe the scuba tanks! 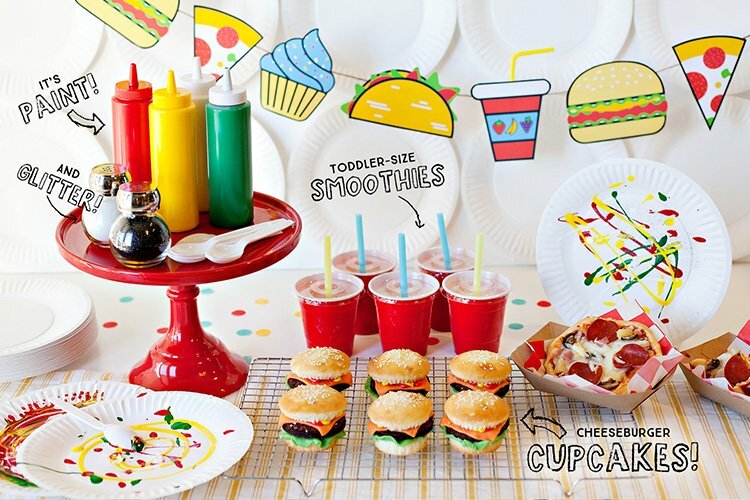 Planning this party for my son’s birthday. Love the scuba tanks. Wondering what type of bottles you used? hey did you find out what or where the bottles come from? SO AWESOME! 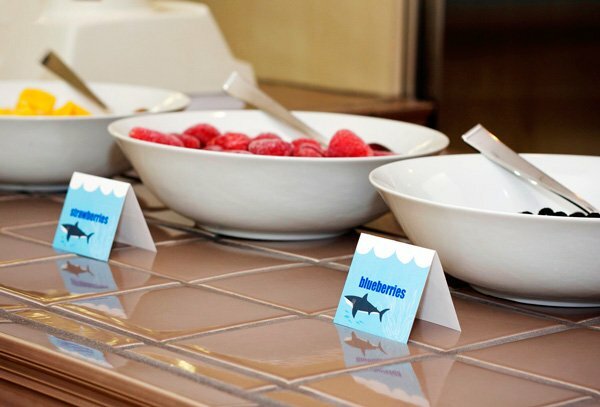 We are also planning a shark party for my son’s 3rd bday. Can I ask how you made the shark fins and got them onto the shirt? What a wonderful party! 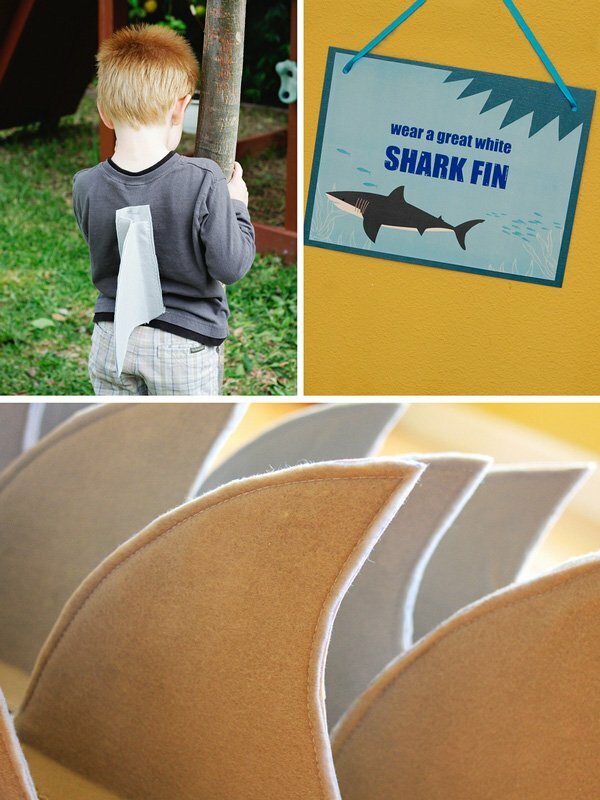 I am planning a shark birthday for my 7yr old and I would love to know how you made the shark fins and how you got them to stay on a shirt????? 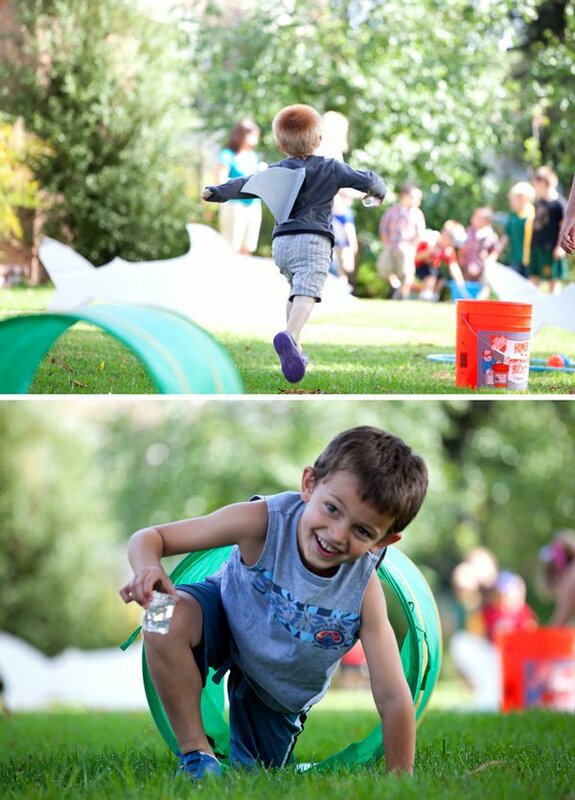 Shark Whisperer Organization announces Shark Themed Birthday parties with a conservation theme and educational program focus, contact Sara Brenes Shark Whisperer today to learn how you cand arrange for your Shark Themed birthday party today! That is so cool,,,great idea! My son is obsessed with scuba diving, so for his 4th birthday, we’re planning a swimming party at the local YMCA. 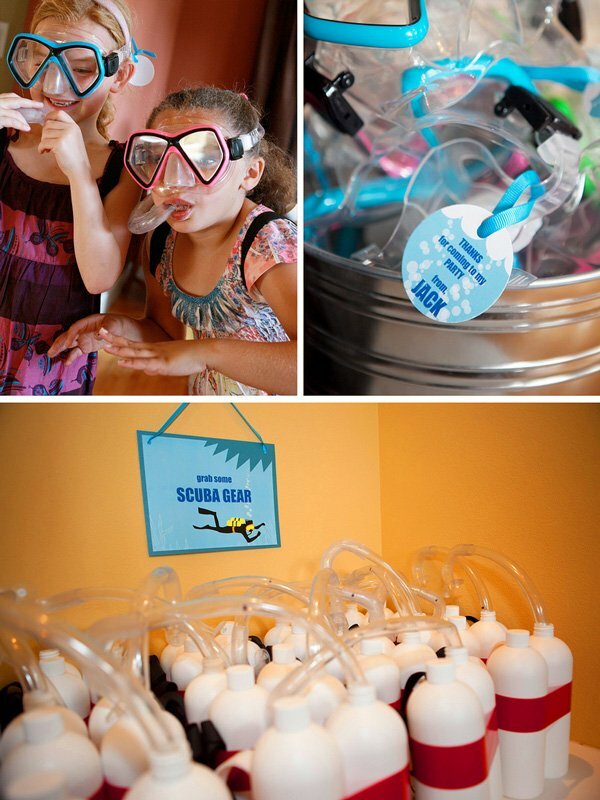 I’d love to make little scuba tanks as party favors. Do you have a tutorial for your tanks? How amazing is this party. 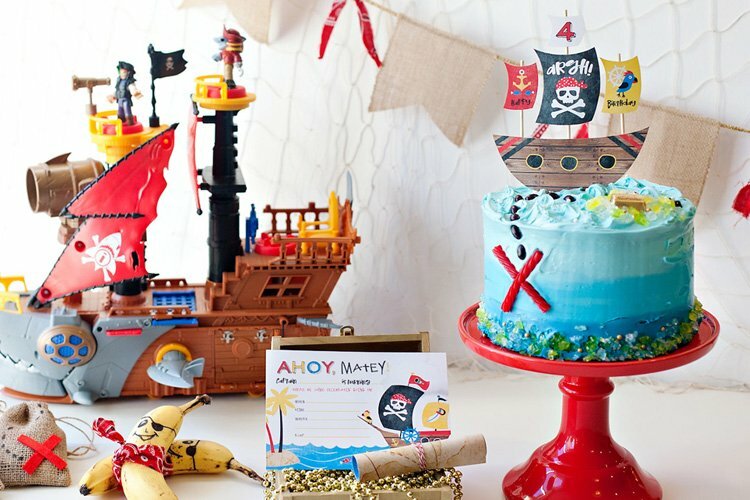 I love all the details, the shark fins, the scuba tanks, the cupcakes….absolutely everything about it! 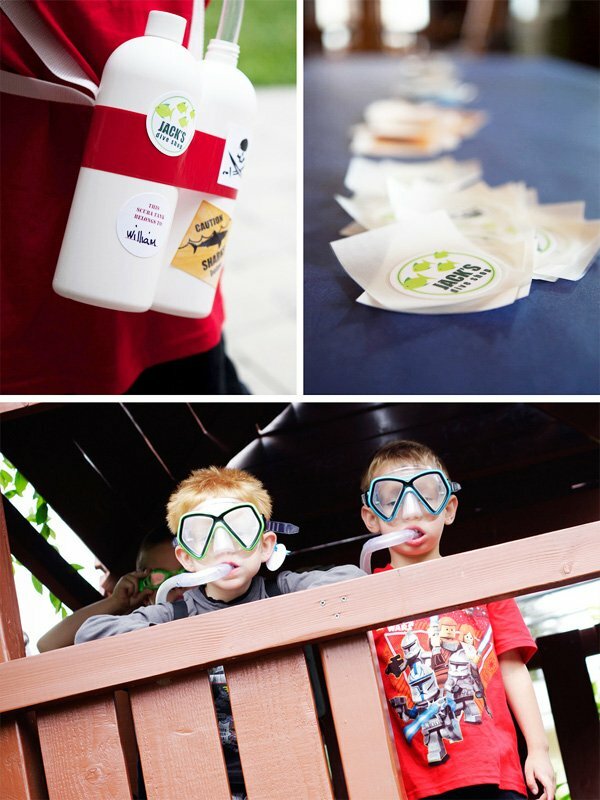 How did you make the homemade scuba tanks?